A look at the growing field of original online content. As regular readers know, I am a fan of web series as a format. The medium presents a huge potential of creativity and it is changing how we interact with media. One of the major factors fueling the web series’ advancement is its ability to monetize. This area is also where web series are feeling the most pain. Being able to make a profit on the content is vital if it is to continue to grow. Put bluntly, the most efficient method of monetizing any online media content is advertising. Now I know that there are going to be people that say that paid subscriptions or buying clips is more profitable. This may be true in some circumstances, but these options also limit a series to only the people who have the income to pay. On the other hand, advertising costs the consumer nothing but time. But a lot of people out there find that even too high a price to pay. Before we get into that, let’s go over some details. For a web series, advertising money usually comes in the form of a profit-sharing agreement with the video hosting site, although not every video host does this. For example, Youtube does have ad revenue sharing, but only with select partners; most people do not get this. On the other hand, Blip has ad revenue sharing with all their content creators. In an ad sharing deal, the norm is a 50/50 split of the profits, calculated on what is known as a CPM or Clicks per Mille formula, where mille equals 1000. A rate is set for every thousand views of an ad. If the CPM for an ad is $5.00, if you get 5,000 views, you make $25.00. Ad rates are not consistent, so profits can fluctuate even if views don’t. In this model, it is possible to be profitable and even make enough to make a living at it, but you need to have a high viewer rate. You also have to get your ads seen. The CPM is calculated on ad views, not video views. If the ad does not play, it is not added to the CPM calculation. This is where programs like Ad Blocker enter the equation. There are a lot of reasons people will block ads. There could be an issue where certain types of ads cause the viewer’s system to crash. Some people claim they have gotten malware from ads. But most of the time, the reason people block ads is that they find them annoying. Here is where we get into the thick of it. As the series producers only get paid for ads shown, when viewers use Ad Blocker, it cuts into the web series’ ability to produce a profit. This is a fact that has been debated back and forth, for as long as there have been web series and both sides have become pretty entrenched. Sites have tried to find ways to deal with this and recently, Blip launched a new salvo that has brought the issue forward again. Blip recently made a change to their site so that when they detect an ad blocker is being used this image comes up. As stated, it makes the viewer wait 90 seconds for the video to start playing. This is hardly a new nor is it the most extreme tactic; other sites blocks that completely bar access to anyone who is using ad blocking software. Of course this raises hackles – several people equate it to bullying – and that community is already working on workarounds. But more importantly, this has brought to the fore the fact that Ad Blocker cuts into the producers profit. Many viewers in forums have stated that they were not aware of this fact. Lewis Lovhaug (aka Linkara) produces the comic book review show Atop the Fourth Wall as part of the online review and comedy site That Guy with the Glasses. 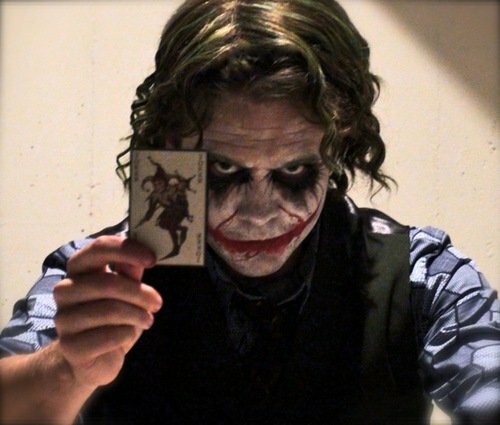 Linkara is one of the rare producers who is able to make a living by making a web series due to his large viewer base. He recently added to the advertising debate with a video wherein he explains how ad profits work and why Ad Blocker is a problem for producers like himself. He states that he does understand if people need to use Ad Blocker for legitimate technical reasons, but otherwise, if they don’t, to consider not using the software for his show, as it is how he makes his living. This video set off a debate on the TGWTG forums. 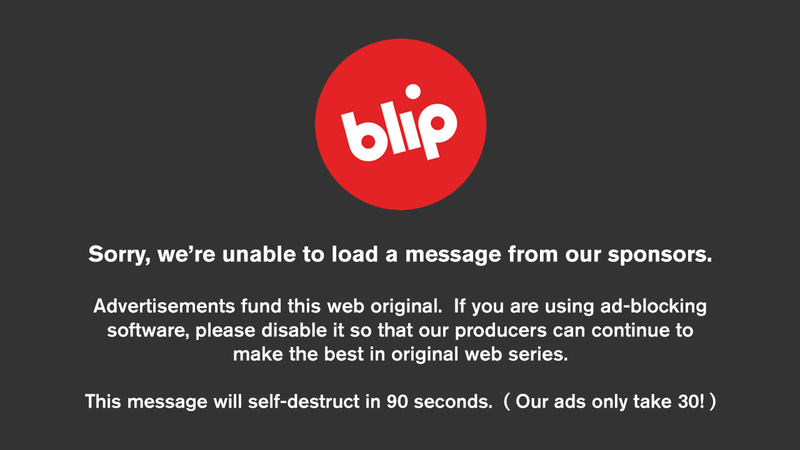 Several viewers were unaware of the impact Ad Blocker has on the producers and have set their Ad Blockers to allow advertising from Blip (a process called whitelisting.) Others took offense at the video, saying that they don’t owe Linkara anything, that it’s their right to use Ad Blocker and that it’s his tough luck. For me, it is a question of what we want to see happen. Web series have an amazing potential, especially as film-making and distributing technology improve and become more available to consumers. This could have a huge impact as people can make creative programing that no one in Hollywood would ever green-light. However, in order for that to happen, it has to be profitable. Otherwise, no one is going to be able to make it in any sustainable fashion, much less grow the medium. I have read a lot of people saying that the current ad structure is not sustainable. I’m not sure I agree with that. I think that as long as there are ways around ads, big advertisers are going to be nervous about taking the plunge. I have also read people telling Linkara and other producers to go and find sponsors to put in their videos directly. That idea looks good on paper but has several flaws. It would take time away from video production to find and negotiate with a sponsor. Furthermore, most deals stipulate the producer would only get paid during the life of a campaign. This means that if someone went into the series’ archive and watched an old video after the campaign ended, the sponsor of that episode would not be obligated to pay him again. With the current CPM ad structure, both new and old episodes have ads generating profit. In the end, the question is: Do you want to see web series as a medium thrive or not? If the answer is yes, then I believe ads are the price we are going to have to pay. For myself, I find ads are a small price to pay for entertainment from a web series. If an ad comes on I don’t like, I just mute the computer. That way, I don’t have to hear it and the producer still makes money, allowing them to keep making more of what I like. If another model does come about that works better I’m sure it will be adopted. Until then, we all have a choice to make.